It’s a known fact that our mouth is full of bacteria that constantly forma sticky, colourless substance called plaque on the teeth, along with mucus and other particles. This plaque can be gotten rid of by flossing and brushing daily, but even that doesn’t always do all of the trick. Because of this, the plaque hardens and forms tartar in and around the teeth that simple brushing can’t clean. This tartar can be removed by simple gum treatments that we provide through our dental hygienists, so you can have a healthy mouth free of bad bacteria. How can I tell if I’m brushing and flossing properly? A. Most people do not know that they have gum disease until their dentist brings it to their attention. Gum disease is a silent disease and that’s the reason it comes as a surprise with few obvious symptoms at an early stage. The rim of the gum next to your teeth becomes red and swollen, and bleeds easily when touched. 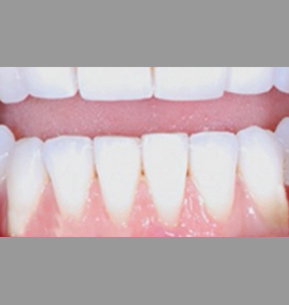 There might not be any discomfort at this stage, but the disease has gained a foothold and is now known as gingivitis. 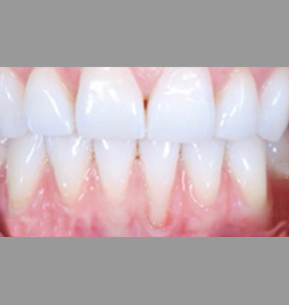 Gingivitis is reversible with improved oral home care and a professional cleaning. 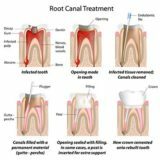 However, if left untreated, the danger exists that it will progress into an irreversible gum disease that damages the gums and bone surrounding the teeth. 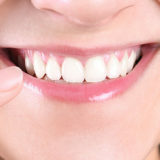 A. Gum disease is very common. 7 out of 10 people will develop gum disease at some time in their lives. It is the most common dental problem, and it can progress quite painlessly until you have a real problem. That’s why it is so important to prevent gum disease before it becomes serious. A. Prevention is the most important factor in the fight against gum disease. It is essential to keep your teeth and gums clean. Brush your teeth properly twice a day with regular flossing. Using proper brushing and flossing techniques is equally important. Be sure to see your dentist biannually for professional cleaning and dental examination, so that he or she can detect any early signs of gum disease, and provide appropriate treatment. A. We at Dental Sphere give a demonstration to every patient for brushing and flossing properly. However, you need to follow a few things in the process. While brushing your teeth, you need to pay special attention to the area where your teeth and gums meet. 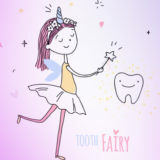 You need to brush gently using the tip of your brush to clean behind your upper and lower front teeth. While flossing, take a piece of floss about 18 inches long and wrap it around your middle fingers. You need to use a clean section of floss each time. Wrap the floss into a C shape around a tooth. Wipe it over the tooth, from base to tip, a couple of times. Repeat on each tooth. A. In case you have gum disease, you will have to get rid of plaque and tartar that will make your gums healthier. In the early stages of gum disease, you need to have a cleaning done by your dentist or dental hygienist to remove the built-up tartar. You will have to brush twice a day to remove plaque and floss once a day. If you have a serious gum disease, your dentist may refer to the specialist called a periodontist, and Dental Sphere provides you with one.